Monk’s Hill Ventures is a partnership of seasoned entrepreneurs who have built and backed global companies based both in Silicon Valley and Asia. We are a venture capital firm investing in post-seed stage tech startups that will take advantage of the fast growing Southeast Asian markets. We are entrepreneurs. We believe that, above everything else in the startup world, it is the entrepreneur who creates value. The right entrepreneurs have the smarts to correct mis-defined products, the charisma to bring onboard expertise they themselves do not have, and the mental strength to stick through the tough times. With our operating background, we contribute more than just capital. Having built companies ourselves, we collaborate with founders as fellow entrepreneurs to make their vision a reality. Entrepreneurs backing entrepreneurs. We are technologists. We believe deeply in the positive and increasing impact of technology on our world. Investing in technology companies has never been more attractive, as technology adoption reaches an inflection point. There are now nearly 5 billion mobile subscribers and more than 3 billion internet users globally. With quantum improvement in computing, building and scaling a technology company costs less than 10% of what it took 15 years ago. Leveraging technologies like big data, mobile, and cloud to build significant business is not only possible, but well within economic reach, especially in emerging markets. Innovation is now global. Monk’s Hill Ventures invests in top entrepreneurs in post-seed companies in Southeast Asia. Think of us as your trusted partner in Asia. We are driven to help companies from Southeast Asia expand globally. Relationships are important in Asia. We know this through the many businesses we have built across Asia - from Japan and China to India and Indonesia. With these relationships and experiences, we help our companies navigate the nuances and specifics of various countries in the region. Our home bases are Singapore and Jakarta. We are bullish on the attractiveness of Southeast Asia as a region in Asia with rapidly growing opportunities. Singapore has proven to be a great strategic location for expanding to the rest of Asia, while Jakarta is at the heart of a booming consumer economy in one of the most populous countries in the world. We are excited with the rapid rise of entrepreneurial talent in Southeast Asia over the last ten years. We have seen great companies born in the region built by world-class entrepreneurs. Southeast Asia, with a population of over 600 million, represents enormous potential on a global scale. With some of the most social and mobile users in the world, the region presents fertile ground for the emergence of technology startup winners. Over the past decade, we have also become trusted advisers and partners to leading VCs in Silicon Valley. We have helped leading growth-stage startups tap the growth veins across Asia. We have helped companies overcome the challenges presented by the region and take advantage of the opportunities. If you are thinking about Southeast Asia, you should talk to us. Peng was the co-founder of Electric Classifieds. After Electric Classifieds, he was the founder and CEO of Interwoven, which went public on NASDAQ and grew to a $10B market cap. After Interwoven, Peng also founded Encentuate. The three businesses he started now generate annual revenues that total more than US$1 billion. Most recently, Peng was a Partner at GSR Ventures, a leading VC in China. 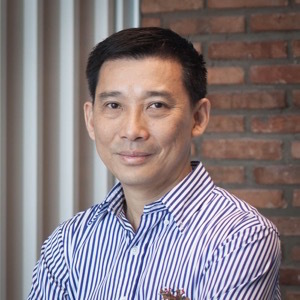 Peng has also served on many boards, including SingTel, YY.com, and IMDA. He is currently the Chairman of SolveEducation! and a board member of the International Advisory Board for the University of Texas at Austin. Peng earned a B.S. in Electrical Engineering from the University of Texas and an M.S. in Computer Science from the University of Illinois. Reez was part of the technology investment team at Khazanah Nasional, Malaysia’s strategic investment fund, focusing on startups in the Enterprise Software space, as well as fund investments across the globe. Closer to home, he led several initiatives to nurture and unearth entrepreneurial talents within corporates and the public at large through angel matching funding and pre-accelerator programs. Prior to Khazanah Nasional, Reez had stints with iPerintis, helping Petronas embark on its e-learning initiative across the company. He began his career in KPMG Consulting in New York City, helping clients optimize their technology infrastructure. Reez holds a Bachelor and a Masters degree in Information Systems from Carnegie Mellon University, as well as an MBA from MIT Sloan School of Management. It was at MIT where he dabbled into entrepreneurship by co-founding a startup called Kaymbu. Justin is an entrepreneur, investor, and engineer who has played instrumental roles in four start-ups in Silicon Valley, Shanghai, and Vietnam. Most recently, he founded Asian-focused gaming company Aspect Gaming, where he raised more than $18 million in funding and lead it to become a leading supplier in the industry. Before that, Justin worked his way from engineering manager to China CEO of StarCite, which he helped transform from a dotcom consumer play into a thriving enterprise SaaS company, growing from zero to more than $50 million in revenue. Earlier in his career Justin managed engineers at Silicon Gaming and served as the founding software engineer of Maximum Information, one of the earliest internet acquisitions of the era. Justin studied computer engineering at the California Polytechnic State University at San Luis Obispo. Yee Hoong was most recently founder of Custom Tribe, an online algorithmic custom shirt startup where he built the operations, marketing, and tech functions over two years. Prior to that he was with Xeraya Capital covering medtech in oncology, cardiovascular, and chronic care, and invested in radiotherapy (US) and blood technology (APAC) startups. Yee Hoong started his career with A.T. Kearney, working with clients in FMCG and financial institutions. Yee Hoong graduated from Northwestern University in chemical & biological engineering, and the Kellogg School of Management Undergraduate Program. His research focused on oncofertility and computational molecular energetics. Jason graduated from the University of Illinois Urbana Champaign. He studied Mechanical Engineering with a minor in Business and was President of Illini EcoConcept, an organization that designs and builds a hydrogen - fueled concept car. He has had prior experience in Gojek and Brake Parts Inc. His past achievements include winning a hackathon for designing a sustainable food truck and being first in an investment simulation challenge. Kuo-Yi was the CEO of Infocomm Investments, a $200M venture fund based in Singapore investing in technology startups globally. Notable investments include Twilio (NYSE:TWLO), Reebonz and Gengo etc. Prior to Infocomm, Kuo-Yi was a senior sales executive at Encentuate (acquired by IBM) and Reputation Technologies (acquired by Security Sources), and co-founder of SportsHook, a sports-focused SaaS platform. Kuo-Yi started his career at the Boston Consulting Group, working with clients in the automotive, telecom and financial services industries. Kuo-Yi graduated from MIT with B.S., M.S., E.E., and PhD degrees in electrical engineering, with focus on nanophotonics. Michele has a decade of experience in technology and operations, having worked in Silicon Valley, Europe, the Middle East and Southeast Asia. She was an early employee and Director at Udemy in San Francisco where she led content acquisition and strategy and helped grow Udemy into the largest online education marketplace. Prior to that she worked at Google on new products & services overseeing display advertising platforms for Europe and North Africa. She was also a strategy consultant for telecom operators in the Middle East and Africa with Oliver Wyman. Michele is a Mechanical Engineer by training and has an MBA from Stanford University. June was a project manager, managing an engineering services company in Thailand where she led planning and executions of projects focusing on maximizing resource utilization and process efficiency. Earlier, June has worked in the investment banking industry primarily advising large corporate clients on IPOs, local and cross-border M&A transactions in Southeast Asia. June’s experience spans across multiple segments including consumer, real estate, telecommunication and energy sectors. June has an MBA from Duke University, The Fuqua School of Business and a bachelor's degree in finance from Thammasat University. RJ was previously a consultant at Balmater Consulting Company, where he led a small team to advise family-owned SME's in Indonesia. Prior to that, he was a financial analyst at Fortman Cline Capital Markets in Manila focusing on local sell-side deals in the region. RJ holds a bachelor's degree in finance from California State University of Fullerton (CSUF). Andy is an entrepreneur and co-founded several technology companies in Indonesia. He has experience in leading a company from startup to IPO. Technology companies that he founded or co-founded include 2C2P Indonesia, CODE.ID, Care Technologies, Integrasi, LunchActually Indonesia and more. Andy is a drop-out of Electronic Engineering Satyawacana University. Juha is an entrepreneur in the games business. Most recently, Juha was the General Manager at Nonstop Games, a King studio in Singapore. 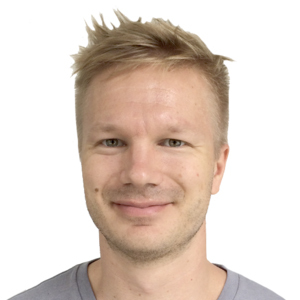 Prior to that, Juha was the co-founder and CEO at Nonstop Games, leading the company through two funding rounds and launching of Heroes of Honor, world’s first mobile strategy game with a real-time map. Following the acquisition of Nonstop Games by King in August 2014, Juha continues to manage the studio based in Singapore. Juha is also an angel investor in several games and mobile startups. Juha studied in Helsinki University of Technology. Sian is a co-founder of Finaxar, a Monk’s Hill Ventures portfolio company that provides data-driven financing solutions for small businesses. Sian was an early investor and pioneer of touch feedback for Immersion (NASDAQ: IMMR, 10 patents). Immersion’s technology is today felt through 3 billion game controllers, automotive, medical, mobile and peripheral systems. He then advised Primesense at start-up, which led to Face ID for Apple after their acquisition. He later founded Thermagine, providers of advanced energy storage solutions. Sian holds a BSc in Mathematics and Physics from the University of Bristol, a M.S. and Ph.D. in Mechanical Engineering from Stanford University. Tom has started and run numerous technology startups together which have raised $180M+ across 20+ rounds of fundraising from the likes of Sequoia Capital, Goldman Sachs, JAFCO, SV Angels, SingTel Innov8, etc. Currently running International Operations at Houzz, the $4B+ Sequoia-backed startup in Silicon Valley that is the global leader in the online home industry space. Prior to Houzz, Tom was the CEO of Bubbly, a leading mobile social media company with 40M+ users. Before that, he led the Mobile Business at BEA Systems, an infrastructure software company acquired by Oracle for $8.5B. And before BEA, Tom helped start 5 different companies in Silicon Valley – ranging from another Internet company, Bang Networks, backed by Sequoia and Marc Andreessen, to the high-end audio manufacturer, California Audio Technology. Tom holds a B.S. from University of California at Berkeley and an MBA from Harvard Business School, where he was a Baker Scholar. Christopher is the founder of two3six, a company focused on the nexus of operations, technology, and analytics. In the US Air Force, Chris worked across IT and intelligence disciplines from the tactical level through to Under Secretary of Defense for Intelligence. He also currently advises and supports governments, startups, and investment firms in the areas of operations, technology, and cyber security. Chris graduated from the University of Washington with a business degree in Information Systems, Bowie State University with a Master of Science in Information Systems, as well as the University of Maryland with an MBA. Linus is currently working on his own startup in the AI space. He was previously Head of Data Science at Twitter Singapore, where his team drives insights to help accelerate user growth for Twitter across its key markets. He was with Twitter since it's pre-IPO days, when he joined its San Francisco headquarters as one of its first data scientists. At Twitter, he has built and led different data science teams serving various functions. Prior to that, Linus was an algorithmic trader at Gray Whale Capital, specializing in statistical arbitrage strategies for trading derivatives. He graduated from Stanford University with a Bachelors degree in Physics and Masters degree in Statistics. Vihang is an entrepreneur, building startups around Big Data, Cloud and Mobile. He is currently the cofounder of Finaxar, a Monk’s Hill Ventures portfolio company that provides data-driven financing solutions for small businesses.. Most recently, Vihang was the CTO of Dragon Wealth. Before Dragon Wealth, he was driving technology at Crayon Data. Earlier, he founded Avagam (acquired by Crayon Data) and was a consultant for Deloitte and a boutique strategy firm working across 2 continents and 5 cities. Vihang earned a B.S. (Hons) and M.S. from the Indian Institute of Technology (IIT), Kharagpur in Mathematics and Computer Science. Jon has founded a number of companies in the US and Asia. Currently, he is the head of strategic partnership for the Next Billion Users group at Google. Previously, Jon held positions as Chief Product Officer at KODAKIT and RedMart. He first entered the Asian market as the founder of Perx in Singapore. Jon earned a B.S. in Computer Science from Johns Hopkins University. Niki is the founder and chairman of Kartuku, the leading independent payment infrastructure platform for Indonesia. Outside of Kartuku, Niki focuses his time on helping build the Indonesian entrepreneurial ecosystem with his engagement at Endeavor. Niki was selected as Indonesia's first Endeavor High Impact Entrepreneur in 2012, and was recently awarded Endeavor's Entrepreneur of the Year in 2015. Continuing his passion for fintech, Niki is determined to drive financial inclusion through developing a collaborative Fintech ecosystem in Indonesia. He currently serves as Chairman of the Indonesian FinTech Association. Helen is the vice president of product management at Alation. As an entrepreneur, investor and experienced product management executive, she implicitly understands what it takes to create category leading products and enduring companies. Helen has nearly two decades of success in conceiving and managing innovative world class products. She was the founding vice president of products at DataYes, one of KPMG’s 50 leading Fintech companies operating in China, and one of the first product managers at Akamai, a S&P 500 company, and Charles River Development, a global leader in financial technology. She holds a Masters in Electrical Engineering and Computer Science from MIT. Next generation real estate platform. 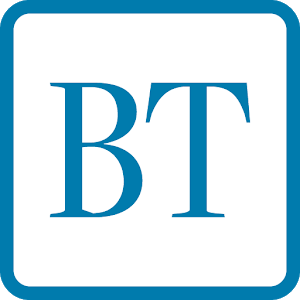 Articles where Monk's Hill Ventures is featured.